International buyers and Asian investors. Kelly brings a lifetime of international experience to Compass and the Edward Hickey Team. 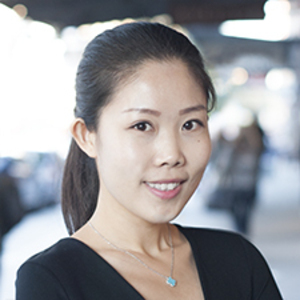 Born in China to a family of real estate developers, Kelly has a unique vision for real estate learned from her family business. Kelly attended high school in Australia and moved to New York City four years ago to study Economics and Politics, and recently graduated with Honors from New York University. When Kelly came to New York City, she loved exploring the real estate market and interned at a firm where she handled marketing, research, and showings of real estate. Her unique style, personal touch and lifelong exposure to the industry has helped her forge multiple partnerships with buyers, sellers and developers in New York City and internationally. Gramercy 1860 is a new, ground-up condominium development consisting of 11 contemporary, state-of-the-art residences with elegant and functional design and the latest technology. This ground-up new construction is designed by renowned Philip Johnson / Alan Ritchie Architects, recognized as one of the most creative and innovative American architectural firms. Amenities include Bicycle storage, Virtual Doorman, large lounge areas, storage room, state of the art kitchens and bathrooms, and in-unit washer and dryer.